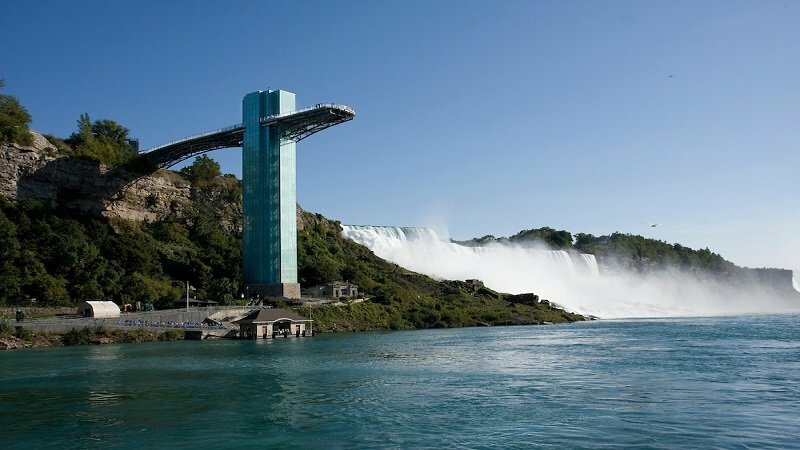 We Get You From New York City To Niagara Falls And Back In One Day! Over the Falls Tours will arrange for you to be picked up at your mid-town Manhattan Hotel and transferred to the airport. 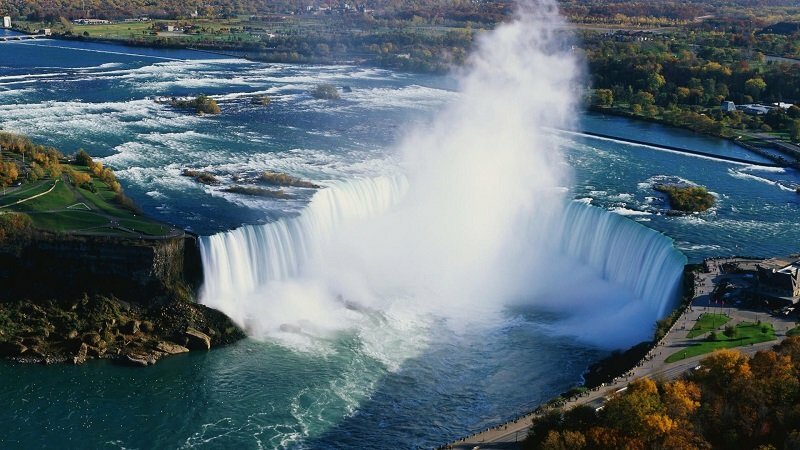 Upon arrival into the Buffalo or Niagara International Airports, you will be met by a local guide who will take you on a spectacular day of sightseeing to Niagara Falls, USA and Canada. Following the tour you will be transferred to the airport for your return flight to NYC and then returned to your hotel. Tours offered in Spanish, Italian, French, Portuguese, German, Chinese, Mandarin, Russian and English upon request. See the best of Niagara Falls in one day. Great for Individuals, Families and Group Travelers. Tour Operators Welcome! Fly in and out the same day to see everything Niagara Falls has to offer. No need to worry about passports or visa’s when enjoying the All American Excursion, which includes the historic Maid of the Mist boat ride and the Cave of the Winds trip plus Lunch at Niagara USA’s Hard Rock Café. No Passport Required! Click Here For More Tour Details! It’s time to “Explore the Roar” and enjoy the best of both sides of Niagara Falls with our most popular Over the Falls Package which includes sailing onboard the historic Maid of the Mist boat ride and a delicious buffet Lunch while overlooking the Majestic Falls. Already Booked Your Flights? No Problem! Seven or eight hours is the perfect amount of time to spend in beautiful Niagara Falls. Upon your arrival, you will be greeted by a local guide and provided deluxe ground transportation to and from the airport PLUS a memorable guided sightseeing tour. Choose either our All American Tour, Canadian and American Deluxe Combo Tour or Royal Canadian Tour. Book Your One Day Trip To Niagara Falls Today! Message us 24/7 using the Contact Form. Inquire Online Here. We'd Love To Help!